The sport of golf has a long history dating back to Scotland in the 15th century and some of the most beautiful land in the world is traversed by the 18 holes of a golfing green. 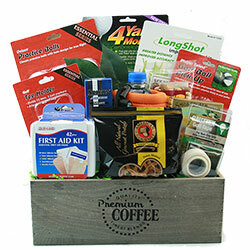 People who love golf — whether they’re athletes, spectators, or sports fans — often talk about the traditions of the sport as much as they do the challenging aspect of the game itself. 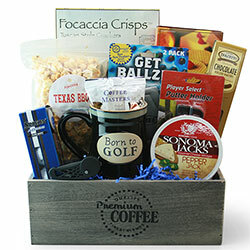 It’s that combination of historic tradition and extreme challenge that has captured the imaginations of golfers for centuries and continues to fill clubhouses and golf carts with players and fans. 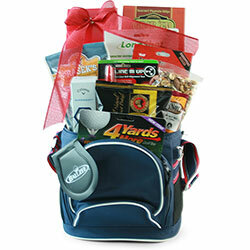 Do you know one of these golf enthusiasts and need the perfect gift for them? 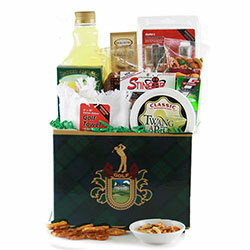 We can tee it up for you. 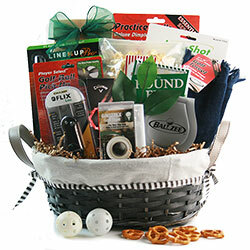 Our golf gift baskets have been carefully curated with products and equipment that are ideally suited for people who love to hit the back 9. 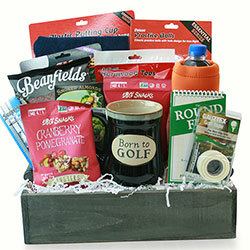 If there are specific items you want to be sure to include in your gift, or you just can’t find what you’re looking for in our standard golf baskets below, you have the option to personalize your gift basket. 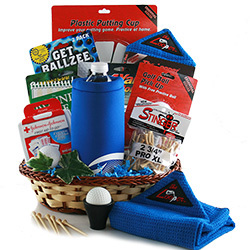 With our Design It Yourself System, you can build custom golf gift baskets that include products like name-brand golf balls, ball cleaners, tees, scorecards, koozies, sports drinks, and more. 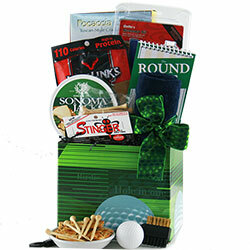 It’s a quick and easy process that allows you to customize the golf gift basket and add some extra personal touches. 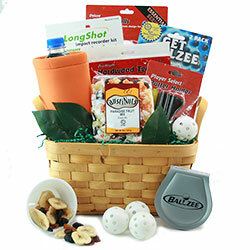 Birdies, mulligans, duffs, skulls...golf is a sport with a very colorful language and even a trademark drink (Arnold Palmer). 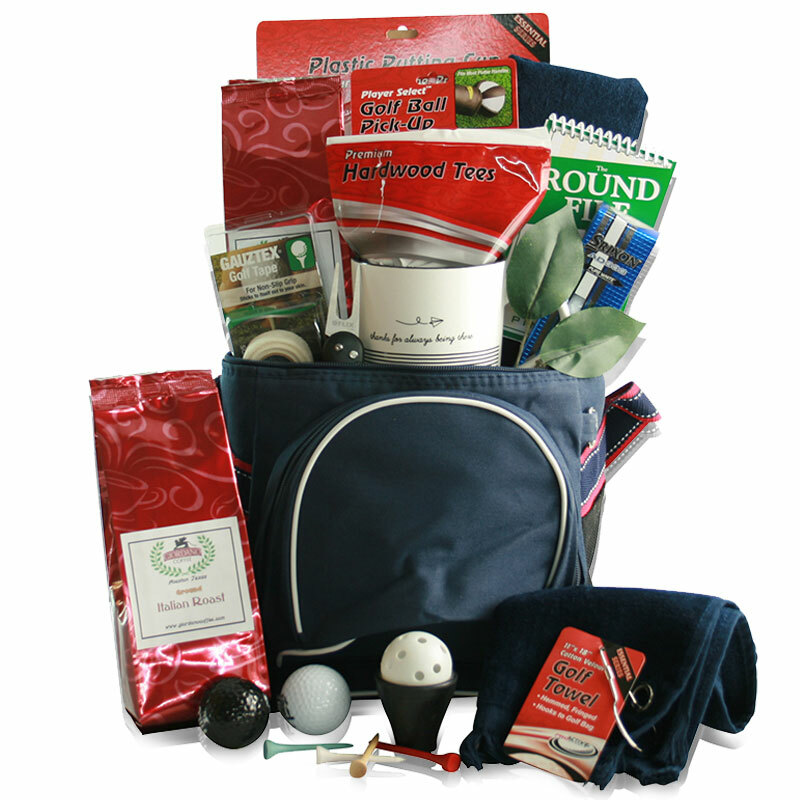 If you always hear a friend or family member announcing that “Golf is my bag,” then you know you need a special gift for that person. 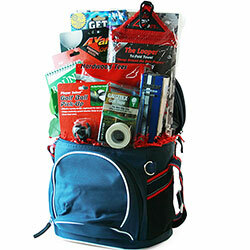 Some golfers are more social and less competitive. 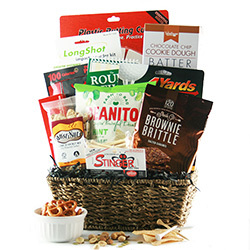 If your recipient looks forward to the drinks and food at the 19th hole more than anything else, send a gift basket that helps them create their own cuisine on the green. 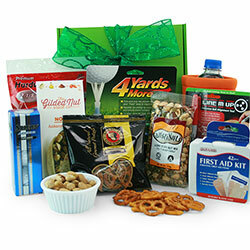 They can relax on the fairway and enjoy some gourmet treats and hydrating drinks instead of worrying so much about their score. 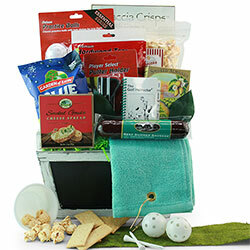 On the other hand, if your gift recipient takes the game very seriously, send them a gift tailored for a golf fanatic. 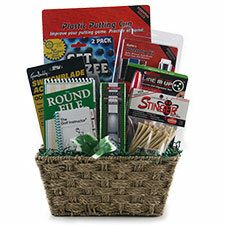 The new golf balls, scorecard, and golf tees will ensure they’re well prepared for their next outing on the greens. Not sure how serious they might be? 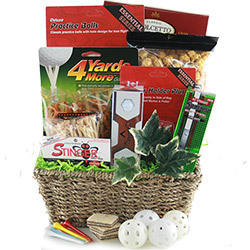 Hours of practice on the driving range and hundreds of miles covered in a golf cart (or on foot) will be your dead giveaway if you have a pro on your hands. Sometimes it can be tough to dedicate a whole day to completing all 18 holes, so golfers may sneak away for a shorter session of hitting half the course. 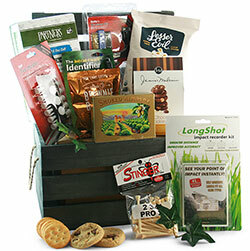 If that sounds like the person you’re shopping for, send them a gift basket specifically curated for the Front 9 or Back 9. 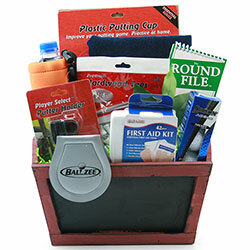 These may be named after half the holes, but the baskets are the full treatment. 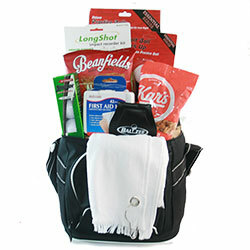 Any gift basket you choose for your recipient will be themed to the sport and will deliver the world of golf to their door.